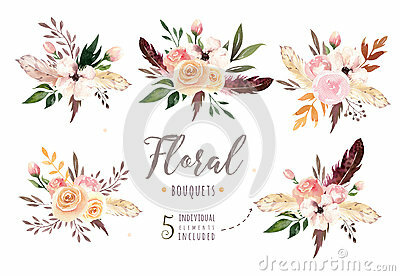 Hand drawing isolated boho watercolor floral illustration bouquets with leaves, branches, flowers. Bohemian greenery art in vintage style. Elements for greeting wedding card.